LOS ANGELES -- Mourning fans are remembering David Bowie at his star on the Hollywood Walk of Fame. 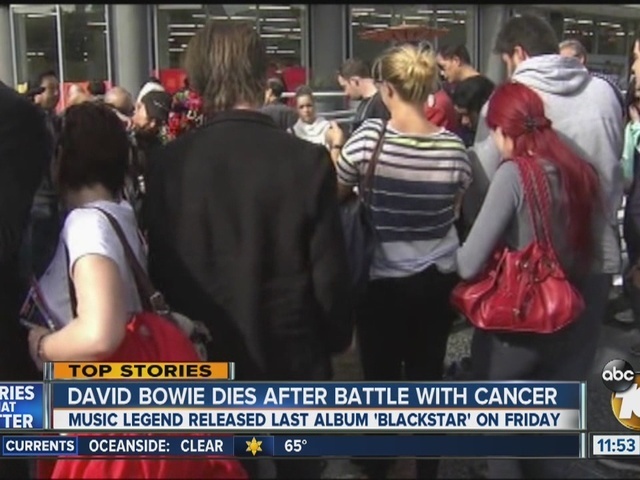 The star on a Hollywood Boulevard sidewalk became covered with candles, flowers and glitter Monday morning as Los Angeles residents awoke to news of Bowie's death from cancer on Sunday. 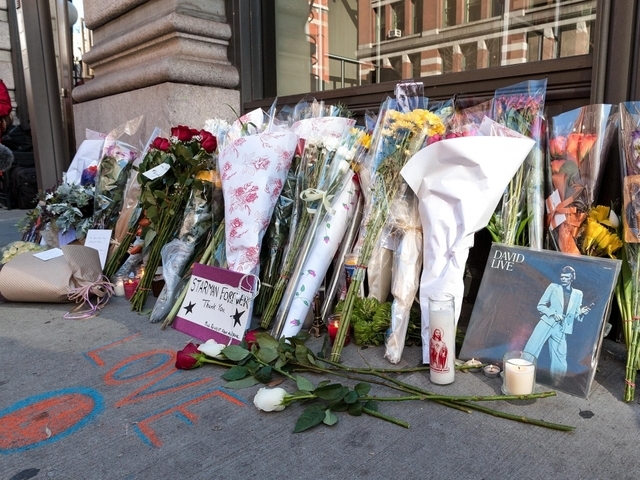 A floral wreath was also placed at the musician's star. Bowie was inducted into the Hollywood Walk of Fame on Feb. 12, 1997.